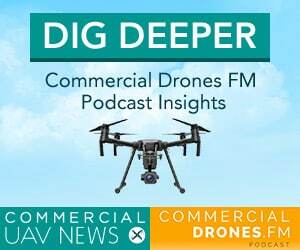 This is the first episode of the Commercial Drones Podcast. Learn about the host, Ian Smith, his experience with drones, helicopters, aviation, and the plans for the show moving forward. Commercial Drones FM will focus on interviewing drone industry experts and explore concepts from the commercial drone industry. Enjoy listening and please subscribe to the podcast and leave a rating/review on whatever platform you use. 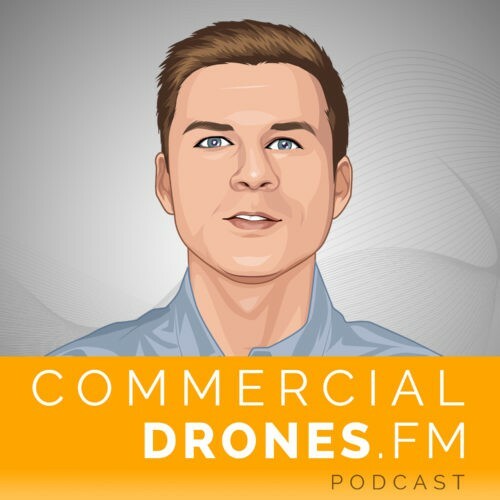 [00:00:00] IAN SMITH: Welcome to the CommercialDrones.FM podcast. This is the first one we’re doing. I’m super happy you’ve joined us. I’m excited to be here. [00:00:10] So let’s go ahead and tell you what we’re doing why we’re doing it and how we’re going to get it done. Let’s get this kicked off. 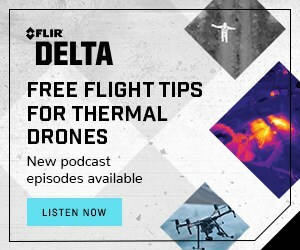 [00:00:20] [Introduction]: Welcome to Commercial Drones.FM, the podcast that explores the commercial drone industry. The people who power it and the concepts that drive it. I’m your host Ian Smith. [00:00:32] IAN SMITH: Alright so if I’m ever known for anything I want people to know that that intro was badass. That’s definitely my legacy. If this does not work out so I’ll be putting that on my resume. But thank you so much for being here. Super excited to kick this thing off. I’ve been thinking about this for probably the last eight months or so. I was recently a guest on Randy Goers’ show. So if any of you don’t know Randy goers is the creator and host of the Drone Radio show, a really really awesome show kind of kicked off the whole drone podcasting movement as if there already is one exists thing. But I was fortunate enough to be a guest on the show representing DroneDeploy. My current employer and talking about how commercial drones bring ROI to end users already in this day and age. So that was like the catalyst for me starting this and wanting to go ahead and take on this project and kind of transfer a lot of this knowledge and introduce a lot of these really amazing fascinating people whom I’ve met in this industry. So the rest of the world and whoever is really interested. [00:01:47] So first of all I’ll tell you guys a little bit about me my background. Maybe then you can understand some some of my motivations on why I’m doing this. [00:01:59] Starting off I kind of started flying RC airplanes with my dad when I was around 8 years old. We built a balsa wood aircraft with the heat activated shrink wrap and the really messy hard to set wood glue. Old school servos and it was gas powered and had a little electronic starter that you had to use to spin the engine up. And after I did that I didn’t really do much with aviation too much. [00:02:33] I’ve kind of come full circle as you’ll see. But once I was around 19 years old I decided that I wanted to fly helicopters. So a buddy and I kind of got the aviation bug. We weren’t really sure what we were doing with our lives. And so he suggested that we go ahead and learn how to fly helicopters civilian style. So we went ahead and did that. Got my private commercial and flight instructor certificates. I was flying out in Houston West Palm Beach Florida or Lantana LNA Leeman November Alpha. Shout out to all you folks who know that and I was also down in Puerto Rico. But what we did was low level boat photography. So we would fly the helicopters really low take these really expensive cameras hang out the side of the helicopter and snap pictures of the boats as they were underway. So it was usually racing boats or sailing boats fishing competitions these kinds of things. And if anyone knows anyone with a boat then we know that people with boats really love to talk about their boats and make sure people know that they have a boat. And I did that for a few years. In 2008 I was a new flight instructor. [00:03:48] That was probably in history one of the worst times so far to be a new helicopter flight instructor because new students in 2008 weren’t very keen on pulling out $250 per flight hour to learn how to fly a helicopter. You need approximately 40 to 50 hours in order to get your private license. And you still can’t use that license due to FAA regulations to start flying for money in order to make back your very expensive investment just to get to that point. So a very bad time to be a flight instructor. I wound up switching my sights. I found a commercial jet fuel broker basically for the corporate aviation industry in Houston Texas and I wound up working there for four years. [00:04:37] I was a account executive for jet fuels broker selling two and managing accounts in southeast Texas and Louisiana as well as New Mexico. So had some really big clients there. So that was really fun. I learned a lot. At that point but I still had that aviation bug I wasn’t flying anymore and 2013 came around. So at that time I remember sitting in my car and listening to the radio and I heard an NPR podcast and it mentioned commercial drones and how people are using them and what the potential impact could be. [00:05:17] [NPR podcast excerpt]: Usually when we talk about drones on this program we are reporting on a strike against terrorist suspects in Yemen or Pakistan. Well a lot of people and businesses are eager to begin using unmanned aerial vehicles here in the United States. They range from drone manufacturers themselves to police departments farmers photographers and hobbyists and officials at all levels of government are grappling with what to do about it. Out in Silicon Valley NPR’s tech correspondent Steve Henn stumbled upon a perfect illustration of the current state of the drone industry. [00:05:49] A couple of months ago on a beautiful spring day in mid-March I went for a run along a local creek and up toward the foothills of the Santa Cruz Mountains. My goal was Stanford’s dish a giant radio telescope that’s visible for miles along the way. I passed two separate groups of folks flying drones. [00:06:11] IAN SMITH: So after hearing that show I was inspired to say the least. I basically consumed my life for better or for worse thinking about and researching and devouring any information I could get on drones. This time I believe the DJI phantom 1 was around but I wasn’t really interested in getting a kind of pre-built drone or a ready to fly a drone. I wanted to build my own so I the components got the you know electronic components ESCS from Hobby King. Other components had to come from China. After about a month and a half I finally had everything on my dining room table. And so I decided to start putting everything together and finally wound up with a flying drone and a side project called Sky capture and Sky capture was going to be a drone service provider company in Houston. I was still living there. I was in the energy capital of the world and there are tons and tons of oil companies and oil service companies and construction and industrial areas with flare flare stacks that need inspection. And I was going to go ahead and take this little drone with a GoPro Hero 3 on it and go ahead and give them really close inspections and make sure that they had everything they needed. Needless to say the FAA was the biggest obstacle in my way along with the technology at the time it did not make it easy to accomplish those tasks. [00:07:43] So I wound up setting my sights elsewhere and I wound up in Toulouse, France and eventually I got a job at a company called the Delair-Tech which is a OEM manufacturer of high end long range fixed wing drones. And the reason France was chosen was because my wife is French number one. But secondly they had some of the most friendly drone regulations on the planet. They actually allowed BVLOS flights which is beyond visual line of sight. So Dalair-Tech was the only drone manufacturer in the world at this time with certification for operating beyond visual line of sight and that was for their DT-18 aircraft. It’s a two kilogram hand launch-able fixed wing drone. So I wound up working there I was doing sales and marketing and pretty much anything having to do with English speaking, the rest of the English speaking world. That was really fun. I was there for about a year and a half but then I got this itch that I just had to be where all the drone epicenter of the world activities were going on. And that is the San Francisco Bay area. So I contacted a company my current company and it’s called DroneDeploy. They had a really bad web site at the time. All it said on the front of it was Cloud Control for drones. And there was a guy flying a homemade 3D Robotics iris on the front page. So it was not very inspiring but it was intriguing nonetheless. So my time at Delair-Tech kind of taught me what was wrong with the drone industry. Not to be rude or anything but the way that things were going were very 2002. You had to have a really expensive laptop get to carry all this equipment out in the field. [00:09:29] You had to have a motorized antenna setting up everything took about 15 to 20 minutes. You had to take off the drone with your hand and launch it. You could risk crashing the drone. That’s just the first part then getting it up into the air. The software has a little bit clunky back then you know it was just a very rough gritty experience and I knew it could be improved. [00:09:51] Once you were done flying the drone the purpose was for making maps so doing mapping missions and capturing imagery for you know future photogrammytry processing into or the mosaics and elevation models and 3D models and point clouds. Once you were done you still had to use that really expensive computer with some really expensive and user friendly software that you probably needed a week of training if not more on in order to get your final result and then waiting you know hours or maybe sometimes over a day multiple days if the mission was really long to get your data. So needless to say there was lots of pain points happening and I contacted DroneDeploy. They told me what they were planning what was up. And I completely agree with them. [00:10:38] So Wind-Up them moving from France to San Francisco starting at DroneDeploy leading sales, marketing, business development. These kinds of things for the company. We were a team of about 12 and now we’re up to 40 people. This was about 14 months ago now. So it’s been quite a journey to get to this point. I’ve met so many people online and in person and on phone calls around the world throughout this entire time talking about the ways that they’re going to use commercial drones or use drones in their business. And this is the big thing is because drones are not the hypothetical tool that and be used in the future once things are ironed out there are hundreds and hundreds of thousands but there’s thousands of businesses worldwide that are using these tools these flying robots in their businesses to get positive recurring ROI already. [00:11:36] And it’s really fascinating to learn not even the people that are already doing it but the concepts that others have. So I’m really interested in these kind of off the wall ideas something you don’t always hear about which is agriculture construction and mining. I think you know everyone’s kind of over that obviously there’s a lot more to prove still with agriculture being the number one. There’s so many variables there that I won’t even get into. And this episode at least. But just meeting all these people from all these really high powered companies from around the industry and around the world is something that I wanted to share. Bring them to you and see what you can learn from them see what kind of insight that they can provide and just get some really good stories out of how it’s been going so that’s one of the big goals for this show. Another thing is I want to take my experience from flight instructing and from aviation and also try to teach some concepts for others to kind of absorb. There’s a lot of stuff going on with drones if you want to start at drone deploy for example be a new employee you need to learn a lot of stuff about a lot of things. So you need to learn the industries how photogrammetry works. Why does a drone fly, what are the internal components? What is GSD? What is GPS? What is AGL? What NRI? 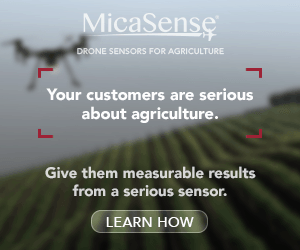 What is NDVI? All these other acronyms and different things having to tie in and do with other things. So there’s so much stuff to learn out there. [00:13:03] If I can help anybody learn what GCPs are and why do they need them in their business or even do they need them in their business. I think there’s a lot of misconception out there and the people that I’m going to bring on along with some of the things that I’ve learned are really going to be an asset to anyone who’s interested. So we’re going to leverage that. We’re going to bring in some really cool people who’ve already confirmed to be guests. We’re going to ask you guys for your opinion. I mean we need to know what you want to hear. That’s just going to be the lifeline of this show. So I will be adding all kinds of different lengths some of the do writeups on these shows. This one I will go ahead and take a pass on because I’m not going to transcribe everything I’ve said here but if you have any questions please let me know you can reach me directly at Ian@commercialdrones.FM. You can check out the Web site at commercial drones.FM and you can also hopefully subscribe to us on iTunes or whatever other platform that you’re listening to this podcast on something really important especially in these early days is to ask people to please give us a rating. I would love to get five stars or whatever the rating scale is at the very top. Anything that shows that this show is worth listening to. [00:14:20] So with that said I don’t have too much else to add on this huge shout out to Randy Goers for being kind of an inspiration to me for starting this show as a guest on his show. It was just a really great experience. So Randy Goers Drone Radio Show one of the first to do it. I think he’s been doing this for almost a year now and I’ll give you a shout out as a link. 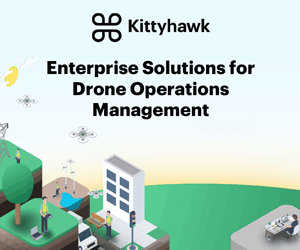 You guys can check out the podcast that I was on with him “finding your commercial drone ROI” And hopefully he’ll be a guest on the show and I can go ahead and return the favor. So guys, gals hopefully there’s gals. We need more girls in this industry. Follow us on Twitter @dronespodcast or Facebook @dronespodcast as well. [00:15:07] Yeah let’s go ahead and get this ball rolling. Let’s crush it together so. Really appreciate your time guys and hope you have a good one. Take care.